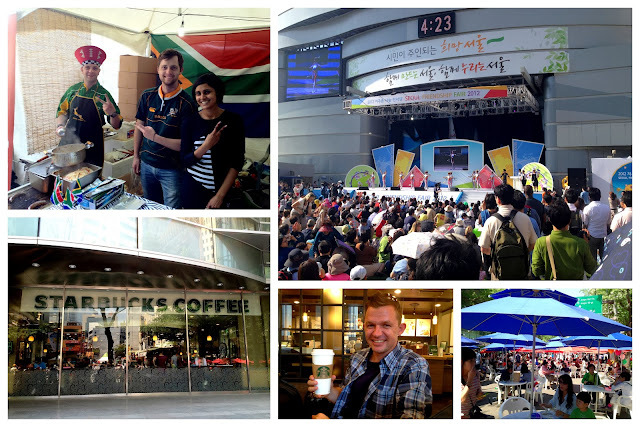 My Seoul(ful) experience! 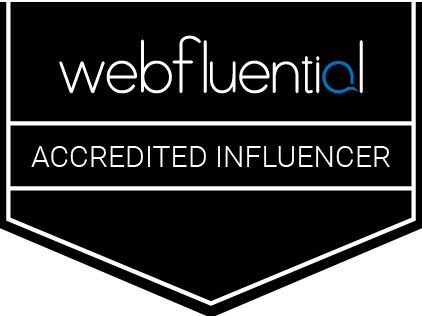 - Experience It! 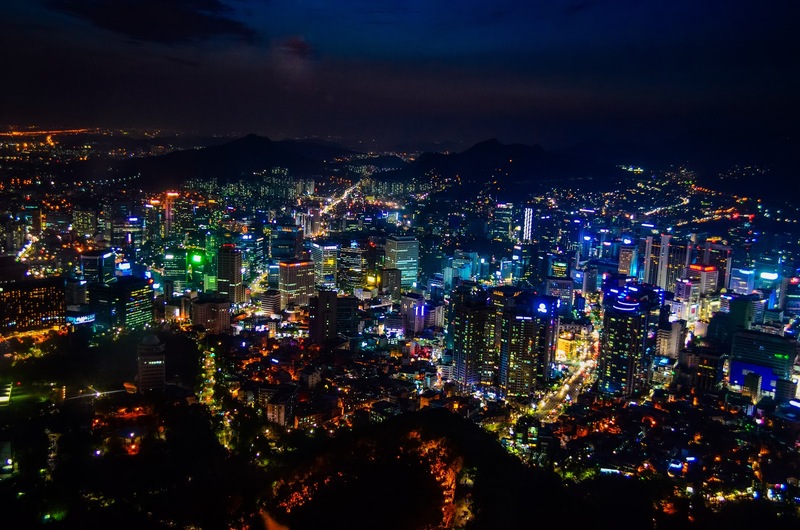 Seoul - The metropolis of South Korea. My first time to this city I was met with this beautiful sunset as we crossed over the Han river. I immediately got more excited of getting to explore this beautiful city. 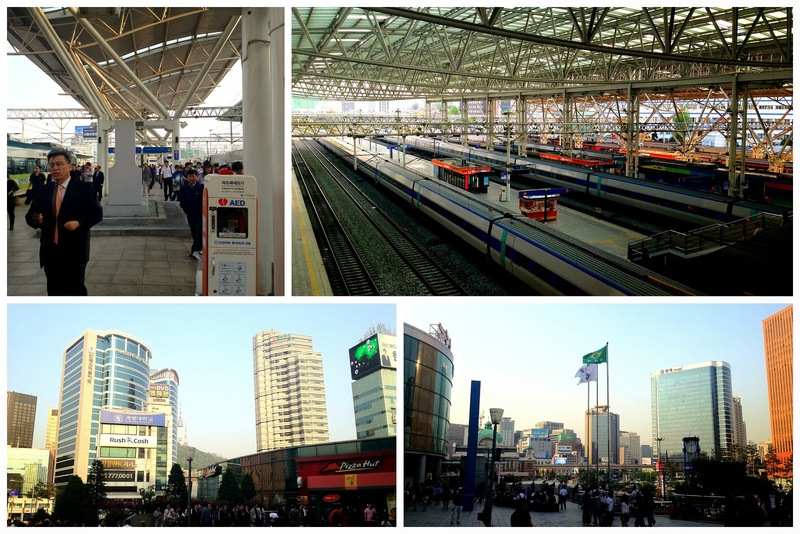 I arrived at the very cool and very big Seoul Station. It almost felt like an airport inside. On Saturday, 5 May 2012, my friend took me to the Seoul Friendship Fair. 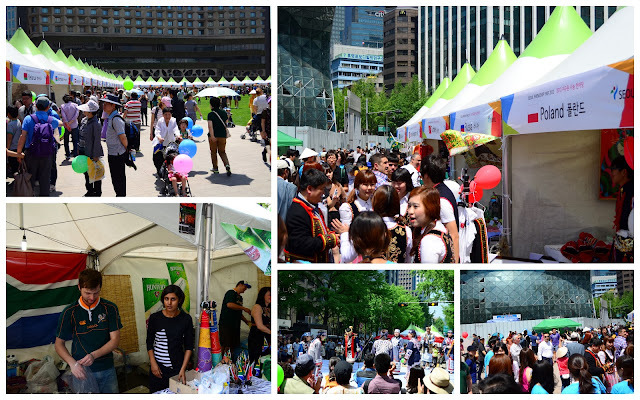 This was a festival, celebrating all the cultures of the world. It was also the first time I realized how homogeneous South Korea is. They needed to be exposed to all these different cultures. In South Africa, we have 11 official languages and with that a lot of tribes and different cultures. I never thought that we had the privilege to be exposed to so many different cultures, until now. Off course I had find the South African food stall, to get a bite of the proudly South African "Boereworsrolletjies" , which is a kind of Hotdog, made from a meat sausage from South Africa. It was fantastic. Then I also found the Starbucks again. 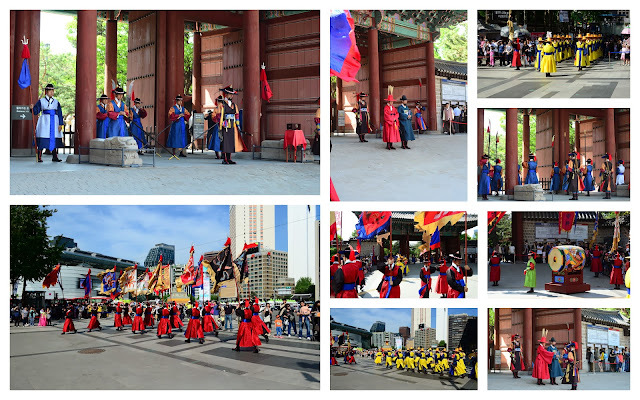 We got the chance to witness the "Change of the guard" ceremony at one of the palaces. It was really interesting to see. They looked so colorful. I got some shots of the Korean kids playing in the fountains. 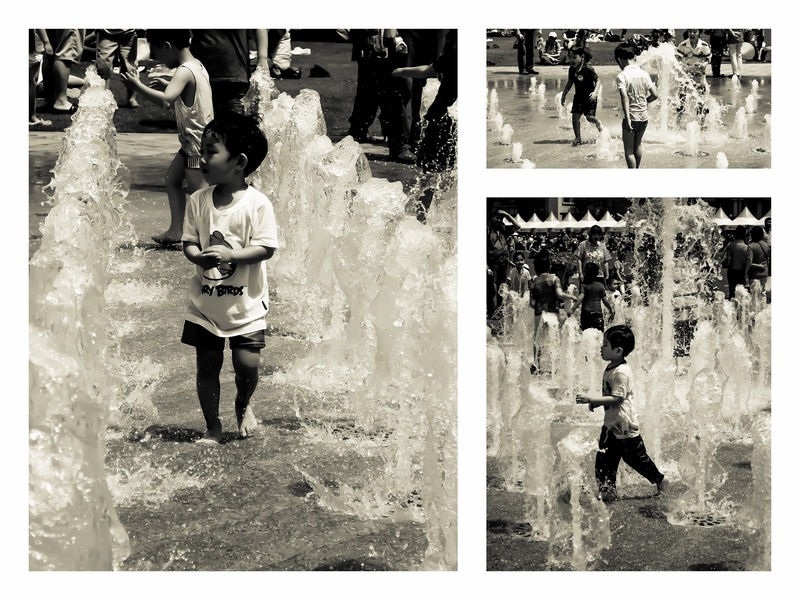 It was really hot and I almost felt like playing with them in the cool fountain. The next day my friend took me to see how the richer part of Korea looked. It was really cool to see how this area looked compared to other areas. 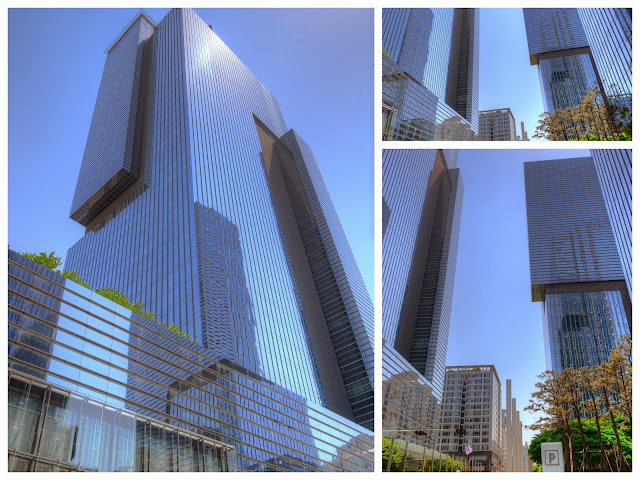 It was cleaner and more efficient and had the most amazing buildings. 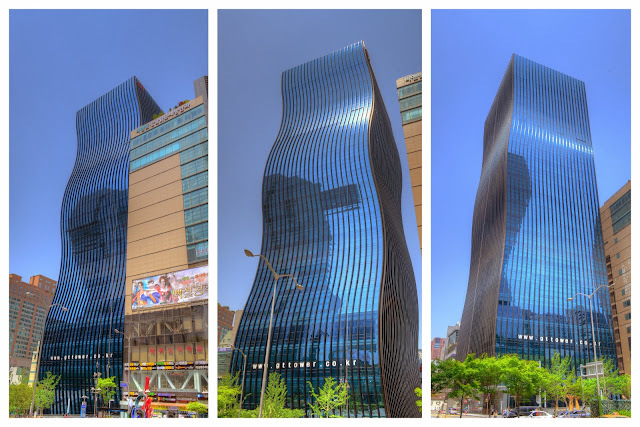 The GT Tower East, was one of my favorite buildings I've seen in South Korea. It had this cool wave form, which felt like an optical illusion when you looked at it. If you ever wanted to read more about this, look at this article: The GT Tower East. Close-by there was another very cool building. I loved the little cut out corners. 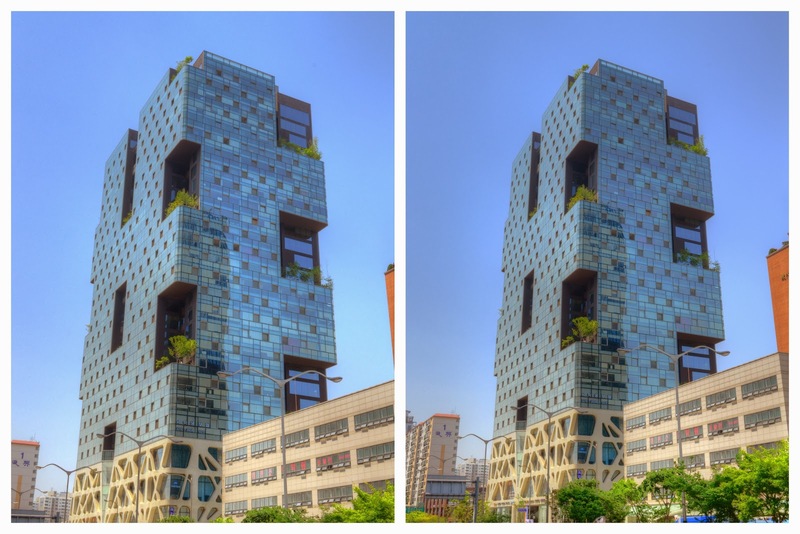 Then Samsung's building in Seoul was also on the way. I was really tempted to just walk in and pretend to be lost, hoping to see something cool in the process. 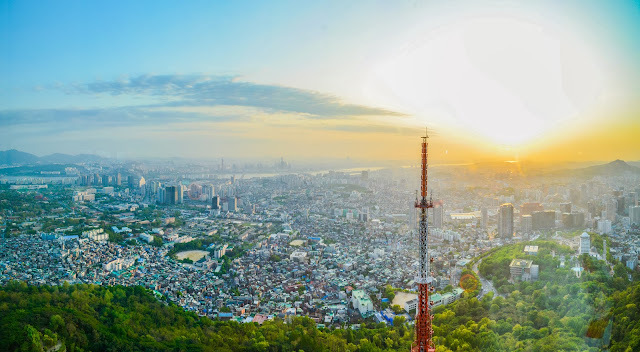 We then made our way to Seoul Tower to overlook the city from the highest point in town. We went close to sunset, in the hope to catch the best of both worlds, day and night. 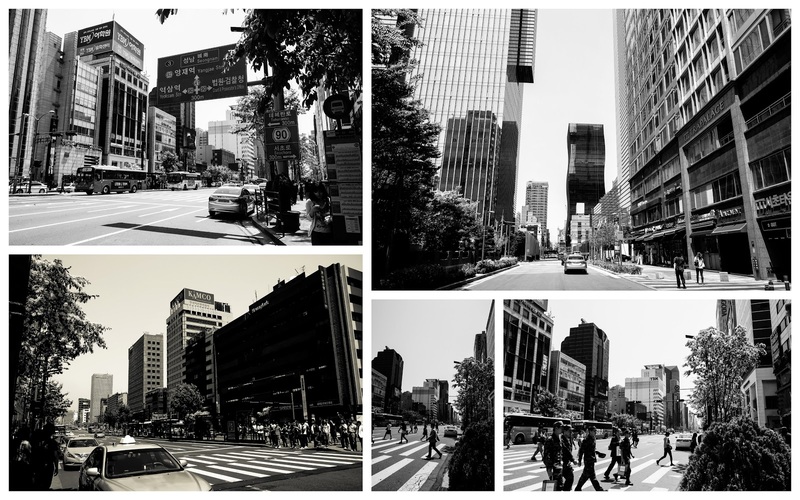 This was one of my favorite scene's of Seoul. I really was amazed by the vastness of the city. As far as you could see, there was city. I was really amazing. 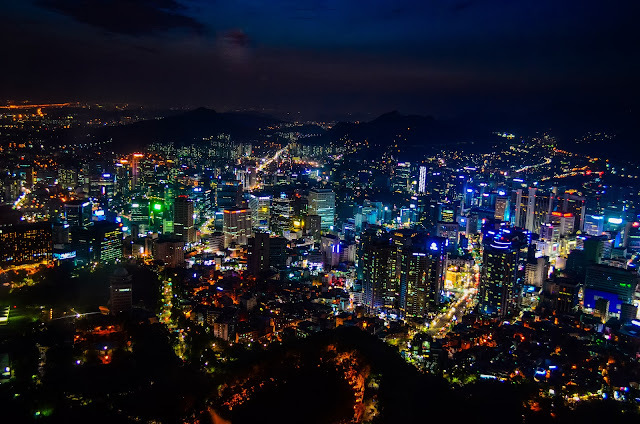 At night the city lit up like a christmas tree. It was truly a beautiful site. Even the Urinals overlooked this amazing view. It was definitely my most memorable place to visit the bathroom. I really enjoyed experiencing this amazing colorful city. I will definitely make an effort to go back there soon. If you are ever in the area, make sure you go and see this beautiful city. 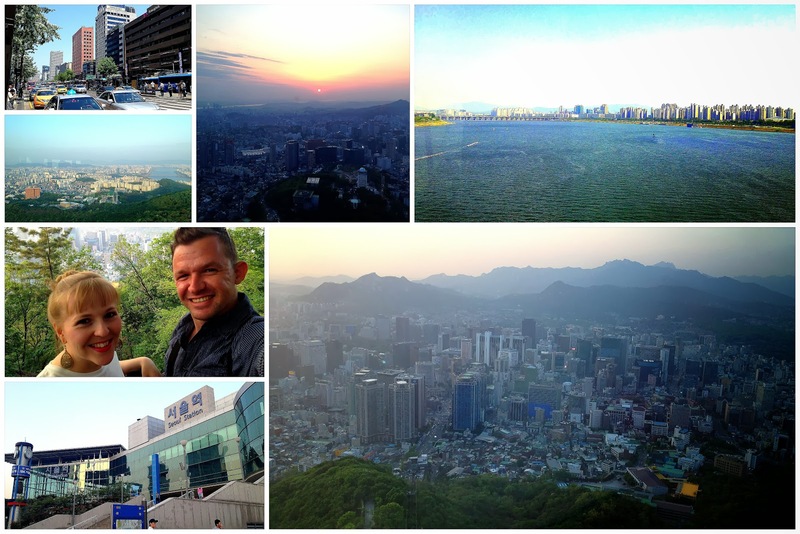 Look out for my posts about Busan and Ulsan as well as Upo wetlands.